Hi everyone! Today I have another set of polishes that I received in a swap with another blogger. 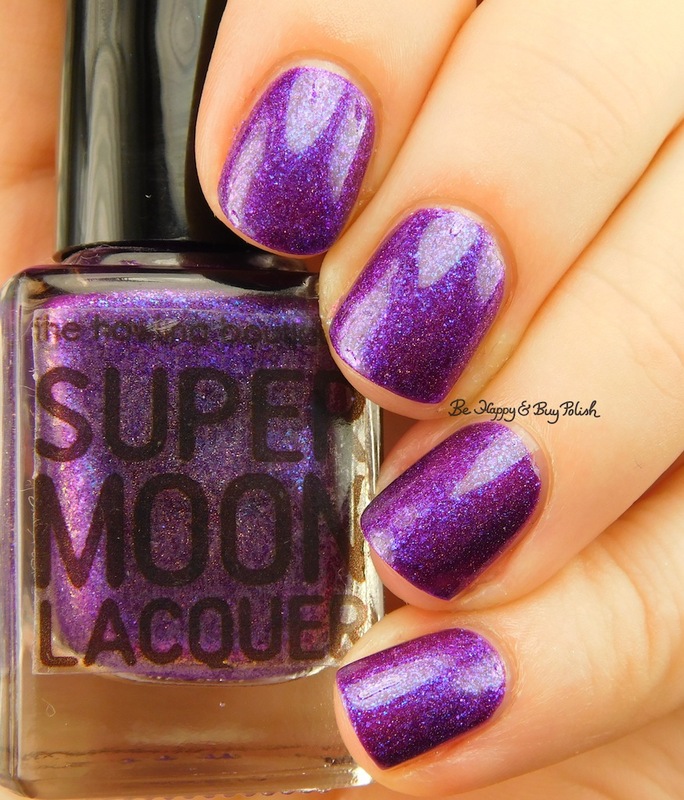 Let’s look at SuperMoon Lacquer Stellar Stream and Galactic Halo! Stellar Stream is a creamy pink with blue shimmer. Consistency was good, a little uneven. This is 2 coats plus top coat. Galactic Halo is a scattered holographic purple with blue flake shimmer. This also had a good consistency; it dries dull. This is 2 coats plus coat. The pink isn’t my fave, but I’m not always a pink fan – nothing against the polish. But that purple – hubba hubba!